The website of Chris Worth, marketing hobo. It’s taken a long time to get here, but finally the story of the Cliveden Snails is uncovered! 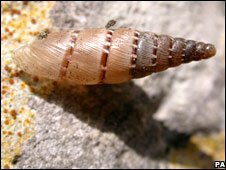 It’s a perfect story for silly season: a species of snail, common in southern Europe but unknown here, has been found in the balustrade of a famous British country house, the slimy denizens presumably hitching a lift when the balustrade was imported in the 19th century. Be earning six figures as a freelancer... 100 days from now! Chris's fictional business consultant action hero. My Fallout New Vegas Tour!